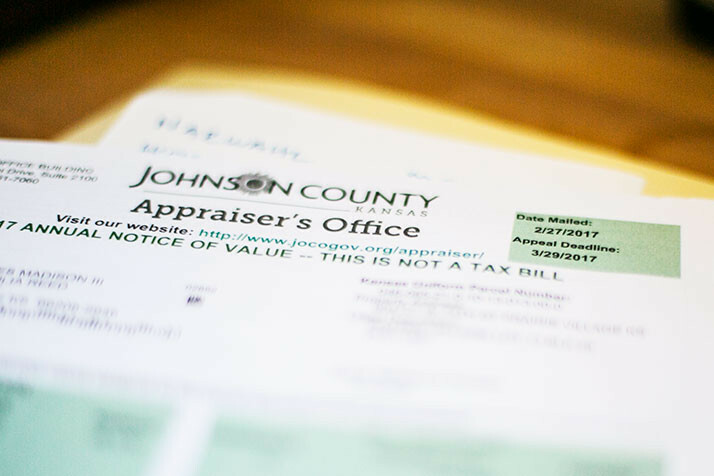 Notices of valuation from the Johnson County Appraiser’s Office have been hitting mailboxes this week. 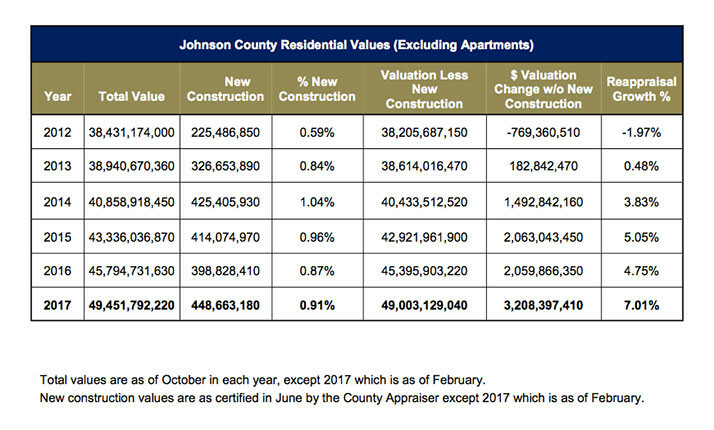 Single family homes in Prairie Village saw the largest jump in appraised valuation among cities primarily within the I-435 loop in the Johnson County Appraiser’s Office’s 2017 revaluation report. With an 11.9 percent total increase among Prairie Village homes, only Spring Hill (16.49 percent); De Soto (14 percent); Gardner (12.16 percent) and Edgerton (12.07 percent) saw bigger jumps in single family home valuation among Johnson County cities. A home’s appraised value is used to determine the amount homeowners pay in property taxes to the county and their city of residence each year. The spike in northeast Johnson County was largely fueled by a competitive real estate market, with home sales increasing more from 2015 to 2016 than in any other part of the county. Data from the Heartland Multiple Listing Service shows that the number of home sales in northeast Johnson County rose from 1,233 in 2015 to 1,381 in 2016. The average sales price rose $242,242 to $268,837 in that period — a jump of 10.98 percent, slightly higher than the 10.59 percent increase witnessed in the Spring Hill/Southern Rural Johnson County market. By comparison, the Southern Leawood/Overland Park market in the MLS saw a decrease in average home sales price of 1 percent during that period. 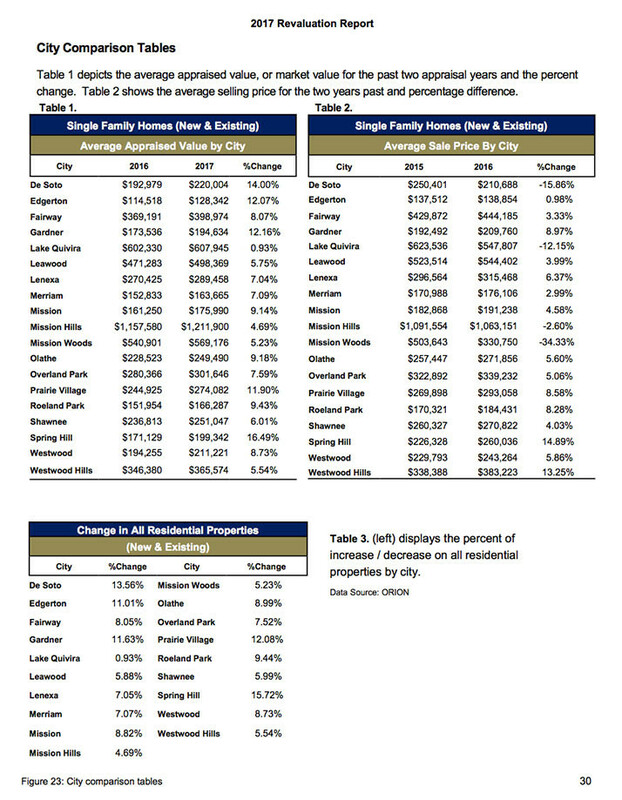 These initial 2017 valuation figures could changes slightly, however, as homeowners may appeal their appraised value to the county through Wednesday, March 29.